Promoting events for brick-and-mortar stores in St. Louis is an essential component of a successful marketing campaign. Grand openings and celebration sales have the potential to generate big revenue and increase word-of-mouth advertising when done correctly. How can you get the word out there to as many potential customers as possible and in the most efficient way possible? Use print marketing to deliver a one-two combination punch on behalf of your marketing team. The successful one-two combination punch is achieved by using event tickets in conjunction with loyalty cards in your direct mail campaigns. To do this, mail both the event tickets and a loyalty or reward card together in the same envelope to a carefully targeted area. That targeting effort should include past customers and potential customers who are likely to visit your store based on either geographical location or other demographics. Consider how all aspects of your direct mail marketing campaign can impact the results of your campaign. For example, if possible, send the event tickets and loyalty cards in an over-sized envelope. In one recent study of direct mail pieces, over-sized envelopes ranked as one of the best options for achieving a higher response rate from the study participants. By doing something as simple as mailing your event tickets and loyalty cards in an over-sized envelope, you’ll maximize your overall impact and increase your open rates. Likewise, carefully craft the copy you use to accompany your event tickets and loyalty cards. Include an introductory letter, but make the copy short and to the point: tell your customers who you are, what they can do with the event tickets and loyalty cards, what they will earn by using them, when and where the event is, and how long they can take advantage of the incentive. While it may be tempting to talk about how much you appreciate their business, your store’s history, and the importance of the event, this isn’t the space to do it. Your customers only need to know what they have just received and how they can use it. With all the marketing planning, don’t neglect the important strategy for presenting the actual event tickets and loyalty cards themselves. Here are a few ideas for how to present your event tickets, followed by a similar list for loyalty cards. 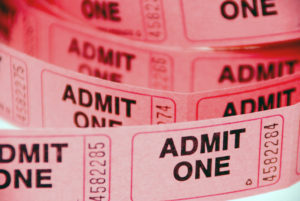 Ask customers to bring their event ticket to the advertised event. While it won’t be necessary to attend the event, offer the option to drop the tickets with contact information into a prize drawing. Announce in your mailer that if the customer brings their event ticket into the event, they will receive an additional discount on their purchase. You can keep the stubs if you wish to keep track of how well this campaign works. Send out the tickets with the stubs already detached. Let the customers know they can find the corresponding stub at your store during the event, and that it holds a surprise discount for them. Write a discount percentage on each one. Now that you have a few suggestions about using your event tickets, let’s take a look at those loyalty cards and how they can benefit you, as well as your patrons. Rewarding customers for their loyalty and their referrals is always a win-win situation for everyone involved. Consumers are more likely to make purchases based on the recommendations of their friends and family, according to a survey of consumers. 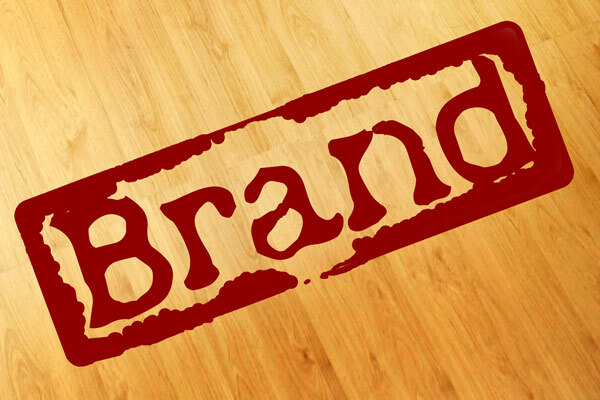 Offering discounts and exclusive merchandise or deals to customers who refer your business to others can be a great way to get your business some awesome word-of-mouth advertising. Allow customers to accrue points with each purchase. Have a reward bracket laid out so they will know what rewards they can strive to achieve. Something to bear in mind about this: don’t set your reward bracket too high. You don’t want customers to feel as though they have to earn an un-obtainable amount of points to reap a minimal reward. Use them as gift cards. Studies have shown that customers who are redeeming a gift card will end up spending more than the amount of the card itself. To be more specific, 72 percent of customers surveyed have reported that not only do they spend more than the amount of their gift card when redeeming it, but that they will typically spend about 20 percent more than the value of the card. This means a bigger return on your investment. If using the card as a point-based loyalty card, offer bonus points for the purchase of particular items, or during particular events. You can even use this tactic to help reduce your stock of seasonal items. By combining these two successful marketing tactics—event tickets and a loyalty program—in a direct mail campaign, you are increasing your likelihood of gaining new customers, as well as gaining more repeat customers. In fact, customers who have previously visited your business are more likely to return after having received a piece of direct mail from you. In fact, implementing a loyalty program can be an efficient way of inviting your customers to come back to your store without having to constantly send them mailers. Not only this, but when you provide your customers and potential customers with items of real value, you stand out from a sea of competitors. Your customers are far more likely to recognize your business as one that is a valuable resource to them. The Power and Wonder of Gift and Loyalty Card Programs Promote Summer Sales with Door Hangers Loyalty Card Program: Eight Reasons Why You Should Have It! Your Business Does Not Promote Itself!